No, our heating season is not as intense as the hot summers are. That does not mean that you should be taking any chances with your home heating system, though. You may not rely on your heater as heavily as you do your air conditioning system, but you are still going to need it to be there for you whenever the temperature drops below comfortable levels. 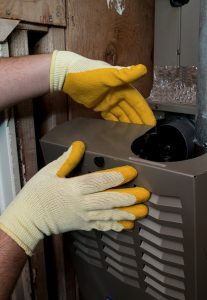 And the only way that you can count on your heater is if it is properly maintained. No, you cannot tune up your heating system on your own. No, it does not matter if you download a “maintenance checklist” from the internet. After all, even if that is a thorough and complete checklist, which is highly unlikely, you are still not going to have the skill and expertise needed to do the job the right way. We do, though, so take advantage of the benefits that professional heating maintenance in Fresno, CA has to offer. 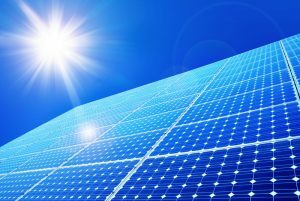 What Can Solar Energy Be Used For? Clean energy is more and more of a focus for homeowners these days. While the move away from fossil fuels toward alternative energy sources has been controversial, to say the least, we are proud to provide outstanding solar energy system services to those homeowners looking to make their residences cleaner and greener. Even as interest in using solar energy continues to grow, there are still a lot of questions about just how these systems work. There are also a lot of questions among homeowners about not just how these systems work, but what exactly solar energy can be used for. Today, we are going to look at the practical applications of solar energy in the residential sector. Just keep in mind that using solar energy reliably and effectively is not a given. You need more than great equipment, including quality solar panels in Fresno, CA. You also need great solar energy technicians to install and service that equipment, so leave the work to us! Posted in Solar | Comments Off on What Can Solar Energy Be Used For? Don’t let that headline deceive you—this isn’t a post about why you need your air conditioner replaced. This is a post about why you need your air conditioner replaced by a professional. We think doing a DIY or amateur AC installation is a terrible idea—and we’re not just saying that because we offer HVAC services in Visalia, CA. We actually have many reasons for believing so, and we’ll list just a couple of them down below.